After the old white building burned, those grades were temporarily housed in a house at the northeast corner of Collins Street and Grand River Ave. (Later that house was replaced by the old Fargo Gas Station.) This building was built in 1923. It eventually became the High School through the graduating class of 1955. The building was torn down in 1996, after sitting vacant for 14 years. 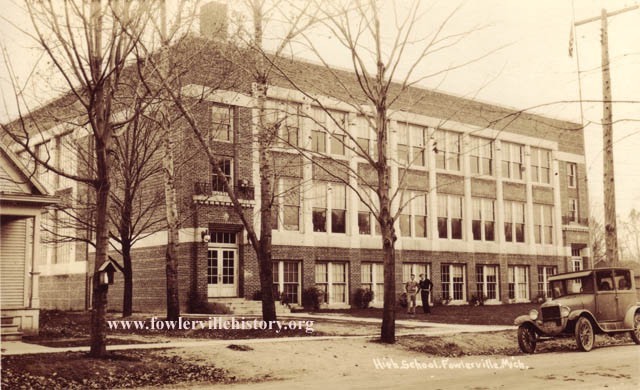 In May, 1953 the district was formally renamed Fowlerville Community Schools after voters approved consolidation of the rural country schools and Fowlerville Public Schools.